The Council Prometheus is a service based on a constitutional cooperation in the interest of The Empire of Diamond's so all federation countries, The Empire of Diamond or other special territories Government of The Empire of Diamond's, and the interest in equality of cooperation for the interests of policy The World Diamond, an international association of joint sovereignty in the interest of the territory The World Diamond. The Council Prometheus is headed in the interest of space logistics, Prometheus Council therefore represents the International Bank for Trade and Investment in the interest of space and land that housed under Thee Central Bank of The Empire of Diamond's and The World Diamond. Council Prometheus again representing other organizations and associations The Empire of The Diamond and The World Diamond, which are designed for the development of space centers, civilizations and infrastructure or other cosmic systems and intelligence. The Council Prometheus is therefore based on the research of natural existence of the universe and its possible use for the common interest of the organization and logistics of civilizations or expansion of international treaties. The Council Prometheus is established as the logistical and commercial department of active's political functions. Council Prometheus serves as an advisor and logistics departments for the issues of operational, technical or computing logistics and weather influence society and politics. The Council Prometheus is therefore based on the interests of logistical missions for trade and development cooperation between corporations, institutions, agencies, organizations, and any other forms of associations are important for the development of civilizations. The Council Prometheus own duty to not abuse the political position of the Council and therefore the duty to maintain operations under legal cooperation procedure. The Council Prometheus own activity was not to cause any injury or loss to any other entity. The Council Prometheus consists of several special guests. Thus arises Council. The composition is made up of The King of the country The World Diamond and The Empire of Diamond's, selected members of The Royal Council, representatives of Thee Generals of Armies of The Empire of Diamond's, representatives of the special commission of government, representatives of selected ministries, selected engineers, selected Analysts, selected physicists, chemists, other special people in the interest of science, together with experts from law, economics and politics. They can also cooperate institutions, corporations or other entities important for the development of space logistics and intelligence. The Council Prometheus is interested in the expansion of human civilization logistical position in space and the creation of common infrastructure systems between remote territories cosmic civilizations and civilization entities in the interest of common politics, economics, science, security, collaboration mapping of space and logistics management in public transport networks, maintaining a common human culture and legal systems. The Council Prometheus is not entitled to rights legislation, The Council Prometheus only offers the option could consider the use of or the possibility to determine the operating systems and also for organizing goals and projects. The Council Prometheus is therefore devoted too oversight functions policy and its system for ensuring the impossibility for breaches of the common rules or common political operation. The Council Prometheus is a form of intelligent project that is determined to create new civilizations on planets in the universe, in the form of a civilization under management presentation The Empire of Diamond's and other federal countries political federation. The Council Prometheus is therefore based on the management of logistics management services cosmic civilization type in the interest of federal government entities The Empire of Diamond's and the Government of The World Diamond as a full value policy, international sovereignty. •A - The Empire of Diamond's, is the political system of the federation, union, community which is in the interest of political cooperation is established for each government of the country from around the world, in the interests of joint cooperation in equality and democracy. The Politics of Empire Diamond's interest is in no way discriminatory against any association or government. The government of The Empire of Diamond's is based on organizing steps in order to unify all mankind. Therefore, it is confirmed that space projects, interests and claims The Empire of Diamond's therefore not discriminatory in any interest for any government of the country from around the world, nation, individual or humanity. The Council Prometheus is therefore determined for the basic steps in order to develop and maintain the logistics of civilizations and space politics. The Project Prometheus therefore gives as its objective to create and organize the logistics service center for orbital transport, civilization, production and operation of energy sector in the interest of The Government of The Empire of Diamond's federation and the countries of The World Diamond and other civilizations in space. The number of stations and the operating system is distributed in the interest of the needs for recovery. A common goal around the world ensure full security and development in common motion system which is designed for full monitoring of a cosmic movement and therefore led permitted movement to form paths with duty To registration required route in the interests of space travel, because of common security. The Project Prometheus to give as their objective to create a full capacity of production technologies in the interest of the countries of The Empire of Diamond's and The World Diamond and production and development for the Great Civilization spacecrafts and Civilization stations in order recalculation for selected goods for their use and determine their function. According to limited supplies categorical destination or in order to exploit fully. The Project Prometheus is aimed to create and organize traffic in the interests of the major centers of civilization in the open space of the universe. Engineering, logistics, operating system, and use strategies, or other possibilities. The Project Prometheus takes care of expanding the transport networks and navigation in space, in the interests of joint security and communication. The Project Prometheus is designed for the continuous improvement of space data and information technology, spacecraft, industrial systems and civilizations in the interest of The Empire of Diamond's and The World Diamond. The Project Prometheus is based on leadership development and logistics cooperation between cosmic civilizations civilization stations, infrastructure planning civilization and energy resources, the function of technology and civilization of technology in the interest of The Empire of Diamond's and The World Diamond. The Council Prometheus was founded to promote the development of global technology space operation and economical subsidized investment. Economic management. The Project Prometheus is also intended for the establishment of intelligent logistics for the evacuation and evacuation systems in case apocalypse of civilization or a planetary scale, scale of the disaster and the solar system or galactic destruction. The Council Prometheus takes care of the unity of all the territories that are prevalent in space and opportunity for their free movement within all territories The Empire of Diamond's and The World Diamond, with free options for each one to these territories enters the will of a good man, and interest with respect to safety or freedoms of other persons and human identities, communities, associations or other legal persons and cooperating race. The Council Prometheus is interested in research and communication with other race, their intelligence civilization, a mission to establish friendly relations and forms of common policies. The Council Prometheus again gives aim, if not established effective sovereignty in order to transform the European governments, according to their interests terrorist cooperation against The World, then in this case is valid constitution of The Empire of Diamond's and The World Diamond in the interest of outer space, according to a subsequent determining constitutional hosts in the interest of territories. Governments of countries that cooperate in the interest of The Project Prometheus, therefore, confirmed that the duty to have no any interest in the effects of terrorist threats or other illegal efforts to crackdown on other forms of cosmic civilizations, its territories, specific categories of international sovereignty, forms of ownership, any other value. The Council of Prometheus, The Empire of Diamond's, The World Diamond is determined as peaceful subjects, and their goal is to expand a security, cooperation and unity of The Whole World. Information in the interest of The Project Prometheus is designed for understanding all the governments of the countries which cooperate to The Project Prometheus, The World Diamond or The Empire of Diamond's. Each country's government in a federation The Empire of Diamond's Government and The World Diamond with alliance members shared sovereignty therefore owns all rights to the use of military spacecraft and Army technology of The World Diamond are therefore designed for the common security and protection of legal interests. Subsequent Utilization of such a form of self-defense against another enemy must be approved by the Global Security Council through The World Diamond. The use of any technology for security must not be used in the interests of an innocent subject and threats against or entity that does not create a threat and violation of rules. Traders and business people in the country The Empire of Diamond's, so too in the land of The World Diamond dealers own full rights to sought subsidies for the development of centers for the production of spacecraft and other space centers in order to trade and expand intelligence. Traders and Entrepreneurs can apply for and claim the subsidy for the development of spacecraft, ships civilization, other special technologies to The Empire of Diamond's and The World Diamond cooperation. Subsidies are only intended for interested trade and commerce. The Council Prometheus represents Office space for sale land management and leadership for the development of which is based on earnings from investments in land. Office subsequently led joint actions in order to cooperate with the bank. The Council Prometheus represents again The Human Civilization of The Empire of Diamond's and The World Diamond. The Council Prometheus represents again The Android Civilization of The Empire of Diamond's and The World Diamond. The Council of Prometheus is responsible for the organization of joint research, development of research centers and campuses or civilizations. The Council of Prometheus focuses on the research of natural social relationships and civilization movement, The Council of Prometheus will therefore be logistically devotes to determine the degree of Standards and Technology, resource use or systems mathematician. The Council Prometheus conducts research in the interest of continuity of economic networks and relationships financial companies. The Council of Prometheus is dedicated to Analysis and proposals Economic network relations and trade policy. Council Prometheus is based on knowledge of the universe, physicists and geographic diversity of the universe, therefore, the Council Prometheus dedicated strategy for policy development and possibilities of political intent in the form of attempts at political planning. The Council of Prometheus focuses on the development of super computers through human intelligence for research and development of the universe, space and logistics strategy, planning civilization monitoring the universe or any other movement. The Council Prometheus therefore constitutes a special computer centers, laboratories, observatories, android civilization for research and development. The Council Prometheus simultaneously with The Central Bank of The World Diamond and The Empire of Diamond's, together with the Ministry for patent rights, a common task is responsible for the operation of patent rights, their development, utilization and the eligibility or registration. The Council Prometheus trying to keep human culture, education and all the information of all humanity, because the human race has always been based on harmonization and without the ability to split in the universe. Therefore, The Council Prometheus is determined for monitoring and storing all data and information from around the world, composing human knowledge, developing intelligent information comprehensive plan. The Council Prometheus is interested in the creation of information centers, and therefore unify all space information with the intention of keeping them in a uniform and standard interest without the possibility of differences, for the purpose of ideologically united humanity in the universe. The Council Prometheus was founded to create space and area maps geo political, economical, astrochemical and other territorial borders, differences and positions. The Council of Prometheus is dedicated to výměrám maps of raw materials, energy and resource centers operating materials. The Council of Prometheus focuses on globalization cooperation in the interest of steps for space cooperation. The Council of Prometheus is dedicated to supporting all Word organizations, communities and associations, to set up their own space residences and mansions or consular centers in the interest of space and collaboration The World Diamond. The Council Prometheus uses technology to calculate the space-temporal properties of an area of the universe. Super computers that are designed for the creation of special forms of mathematical calculations that can predict all forms of events in the past, today and in the future. According to disseminate technology, physics, development steps, or other systems. The Council Prometheus again determined to extend the possibilities for the application of these systems and their application. The Council Prometheus dedicated research space organisms and organisms function in space. Organisms other planets, organizational human beings or animals and bacteria research through special machines. The Council Prometheus trying to keep a form of the human race without any disparity arising by physical interaction and affection of differences between them space. The Council Prometheus therefore creates the steps for research and genetics of the human race sustain and develop technologies to charge. The Council Prometheus own entitlement to establish cooperation among all members of The Empire of Diamond's, The World Diamond and other countries in order to develop a global database of historical knowledge, finds or archaeological objects. The database is based on research into the origin of mankind and the reality of our history or reality. Therefore, there is a common database of all mankind, presented in the interest of the government of The World Diamond. In the event of a disaster or Apocalypse, then The Council Prometheus is obligated to maintain a constant feature of retrofit packages on other planets and in space. The retrofit package consists of DNA samples and cell mankind, animals and plant seeds of each species on our planet Earth or in Cosmic space. In the same vein are maintained sources of chemical raw materials and laboratories for the production of artificial resources in the form of tables raw materials from the formation of the first particles and atoms. In the interest of packages are stored special reactors for the fist human fetal genes and DNA reproduction. The package also includes a system for reproducing Android and artificial human intelligence, which again will begin construction of habitable civilization and then commission the training centers for those that arose from the DNA of packages intended for the renovation of the human race and it will always be used in case of destruction of mankind disaster. The Council Prometheus again used to form the first operator of the private nature of the information, if it is needed in the case record special activities. The Council Prometheus organizes conferences for government countries around the world. Conference about the possibilities of political cooperation, development policy strategy, cooperation in the interest of the development of civilization and civilization centers or policy for space affairs. The Council Prometheus organizes conferences for businessmen and corporations in order to extend economic cooperation networks in the space of the universe and the organization of joint business projects and ties. The Council Prometheus consultation conference for scientists and research teams in order to cooperate on space spawn and research work, other research collaboration. The Council Prometheus cooperates with the Council of Representatives Alliance countries in the interest of The International Senate of The WD, in the interest of questions about the takeover declarations and resolutions and the rights of the United Nations in matters of contracts for space. Representatives of governments Alliance The World Diamond because representatives of the countries of the Alliance to a joint democratic choice for the decision has accepted the rules issued by the United Nations decision to take full rules through declarations rules, a decision to take the form of rules in common addendum to the rules of the organization and utilization of UN joint resolution for the common development of international governments The World Diamond, subsequent decisions on the ability to establish their own rules in the interest of the common policy of The World Diamond. 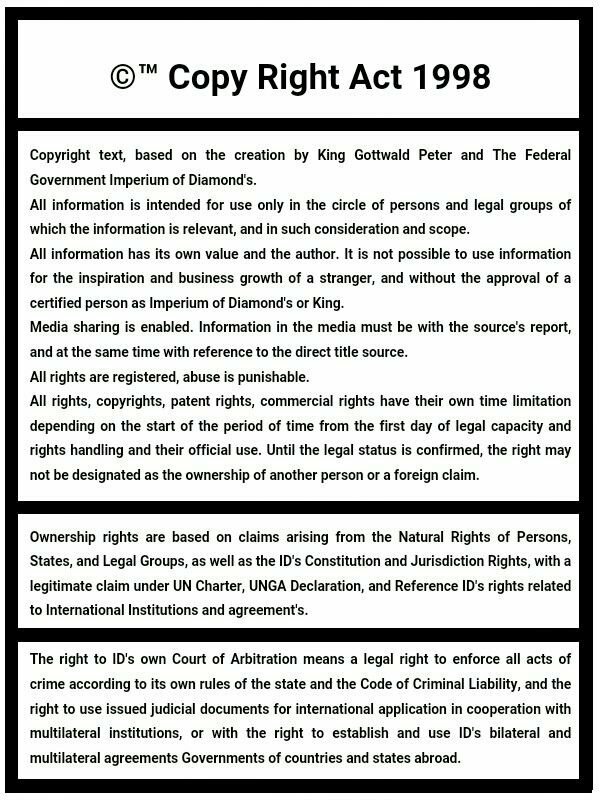 This also means that the Government of The World Diamond own full right to use their own rules and entitlements or system policies that will be of interest policy The WD is always independent of the UN, for reasons of their own claims to internist of state. Therefore, if there is a different decision through the International Senate, The World Diamond, diversity be a joint decision in the interests of the rules of Outer Space United Nations and then the emergence of a new form of international forms territories which are based on their own rules and resolutions by the International Agreements of the Senate The World Diamond. Each State has its own full entitlement to own internist. The Council Prometheus own, seek to ensure joint security forces to maintain the unity of humanity together and maintain the security systems of international character, in the interest of the common policy of The World Diamond. The Council of Prometheus own Prometheus tasked with promoting ensure full security at the site of the available space against the order to ensure that the system functions operating policies of maintaining the free movement of natural company applying interest in space in common universe of The World Diamond, in the interest of traders and corporate activities in the area common universe of The World Diamond, then in the interest of political and government system activities in the area common universe of The World Diamond. The Council Prometheus is dedicated to the establishment of specific capacities for law affairs spacecraft and their mechanical quantities, functions, skills or duty To use a common system of maintaining security. The Council Prometheus is based on a project localization of all cosmic sources of raw materials. Alliance country's own duty to apprise all the information found sources of raw materials and allow them entry into the common database. If the government of The World Diamond League in the interests of Allied countries in the leadership of the International The Senate The WD will decide on the need for utilization of raw material resources for the common needs and resources will be designated as strategic, and therefore may use common resources for developing and maintaining a common civilization The World Diamond. If the announced discovery of sources of raw materials in space and other planets or in other centers, if such resources are not in the scope of energy Territory of The World Diamond, then the operator who carried out such an award after award of duty to their own resources only for the opportunity to announce a joint logistics operation determining our stability in the interest of information cooperation. International Cosmic territories The World Diamond is divided into several areas. Major geographical territory is based on the extent of civilization Population and Public Population range. The second form of territorial division is therefore based on the industrial and agricultural use, resource products. A third form of territorial division is therefore based on the Energy area designated for the extraction of raw materials and profits. Fourth territorial zone is based on the research area. Fifth territorial area is designated for the interests protected landscapes in the form of reservation. Sixth territorial zone based on usage in order to develop military technology and development of military infrastructure. Seven territorial area is therefore based on the interests of artificial intelligence. The Government Diamond World, The Empire of Diamond's and the Council's Prometheus own qualify for setting up other forms of civilization territories, according to public or private use. The Council Prometheus together with main chamber of The Parliament and The Senate, The International World Diamond, subsequently creating laws Charter on territorial areas, the right to move in that area, right on Activity of recovery or other activities of countries. Therefore, this means that the Government of The World Diamond's own full entitlement to legislation according to their own personal interests and policies. The Council Prometheus own right for founding colonies in the interest of territorial areas and develop their intelligence. The Council Prometheus may therefore extend a special reservation forms, forms of Special Regional different types based physical environment, or in the interest of natural and modified organisms, plants or physical environment. Setting up new worlds. The Council Prometheus therefore self qualify for collaboration with internal stakeholders Allied countries The World Diamond therefore to allow it to record all celestial objects in the universe and predict their movements or research them. The Council Prometheus therefore provides for the creation of a plan to modify the universe and at the same time developing a safe space, removing meteorites, eliminating the threat of collision or infrastructure development strategy. The Council Prometheus supports the natural strategy for space colonization and the establishment of the territorial sovereignty of other entities governments so that they can acquire sovereignty only with an area of territory that can colonize.